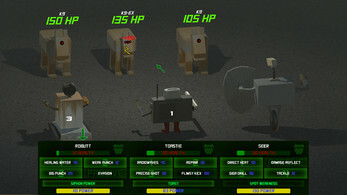 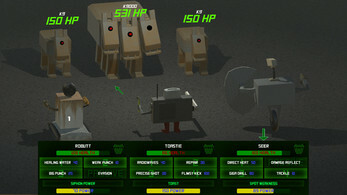 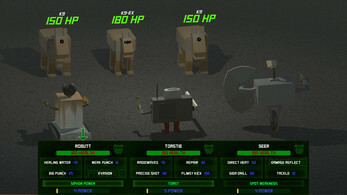 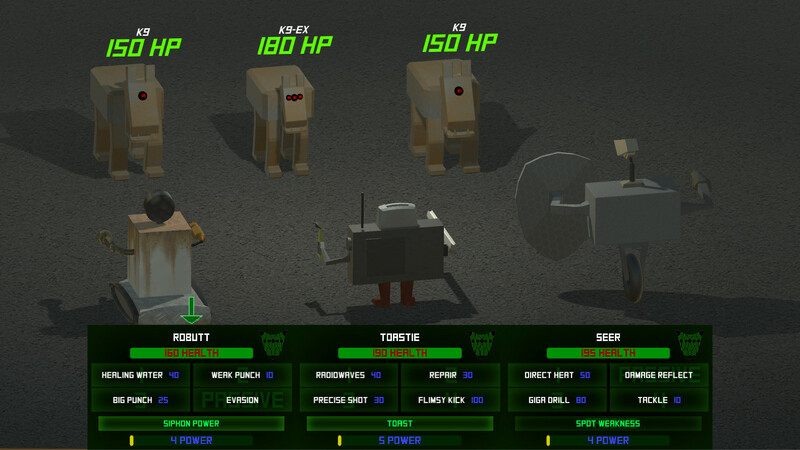 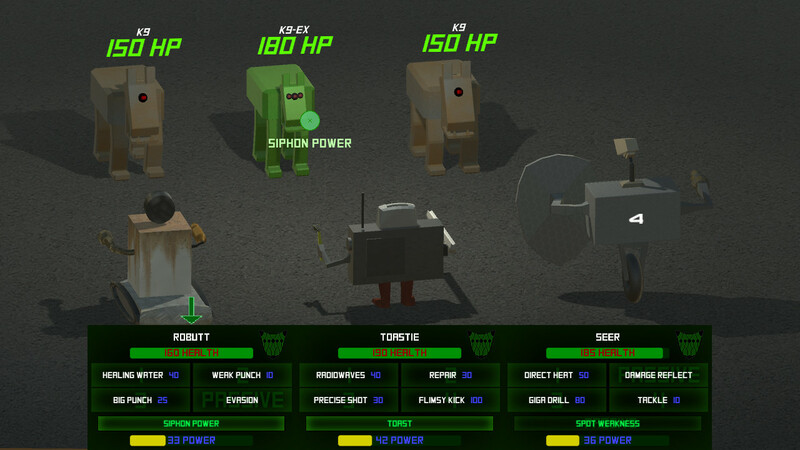 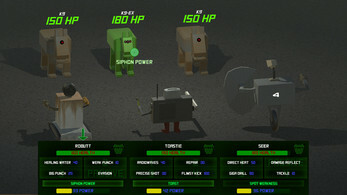 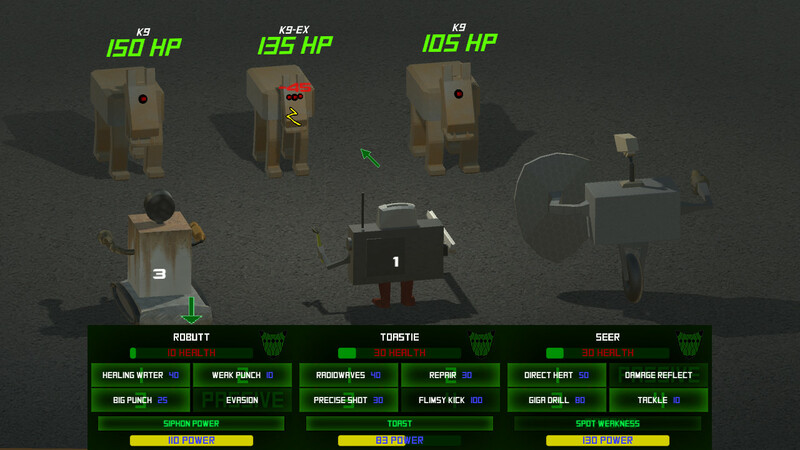 Robosquad is a real time JRPG style game where you command a squad of robots. 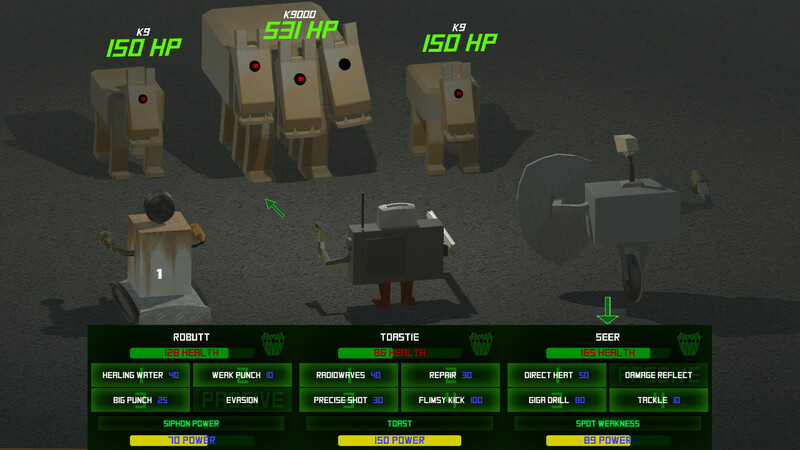 These robots consist of parts which give the robots stats and skills, the robots generate power over time which they spend to perform skills, they can also enter a guard state that stops power generation but makes the robot take severely reduced damage. 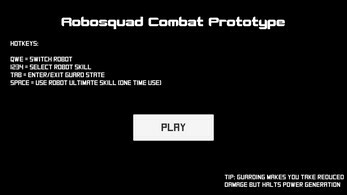 In this prototype it is just the basics of the combat system present. 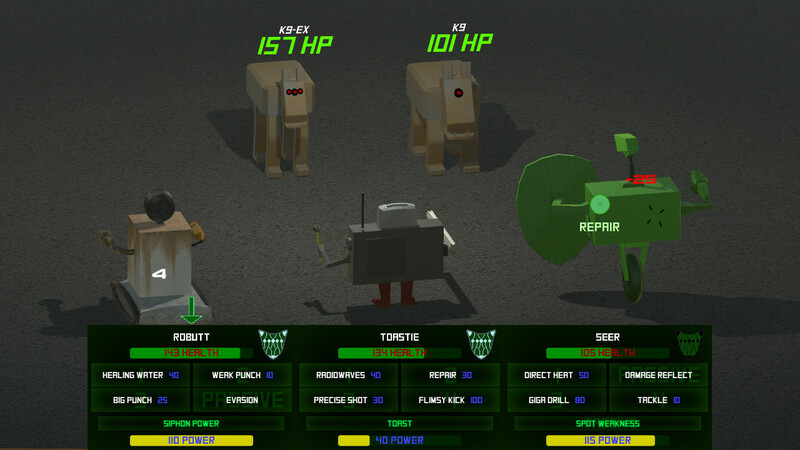 You can use the mouse to control the game or the hotkeys as displayed on the menu. 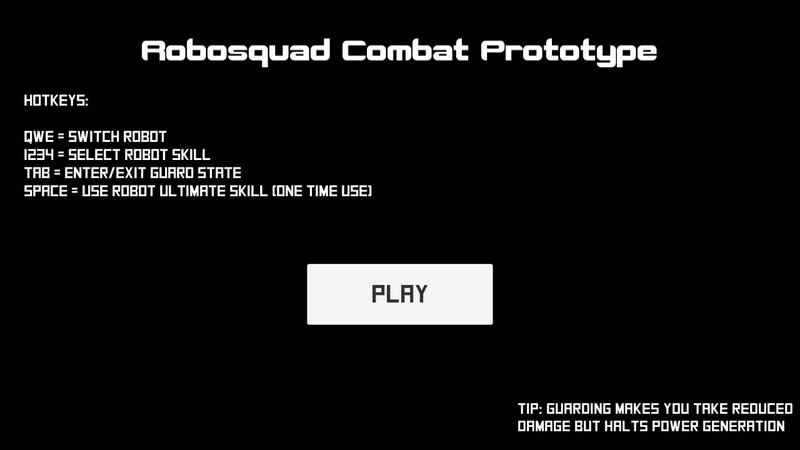 I'm posting this here to gauge if people like the combat or not and to ascertain any improvements that should be made to keep the core gameplay engaging.